How can our courier company help you? Integrate with Internet Express today and offer your clients a full e-commerce experience by making shipping part of the buying process. It is completely FREE. Internet Express will deliver your parcel anywhere in South Africa and the world. Our flexible range of delivery options are designed to suit your individual needs and budget. Our convenient online delivery booking system will save you time and our friendly staff are readily available to assist you every step of the way. Do you need to courier your golf clubs, bicycle, surfboard, excess bagage, wine or important legal documents? 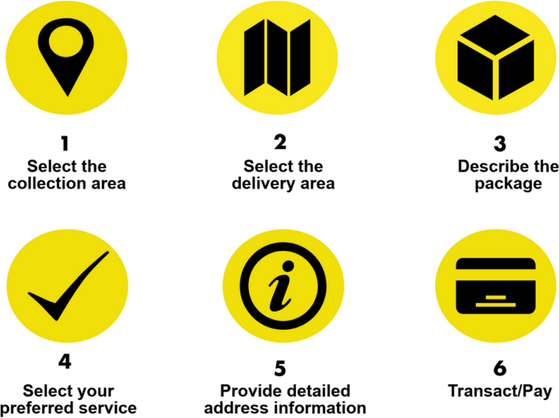 Look no further as Internet Express will collect these items directly from your door and ensure it's timeous delivery. At Internet Express we value our business customers and strive to offer the best courier service possible. Business clients have the option of opening a 30 day account and can transact either online or offline with Internet Express. We will tailor make a courier solution to suit your unique business requirements.